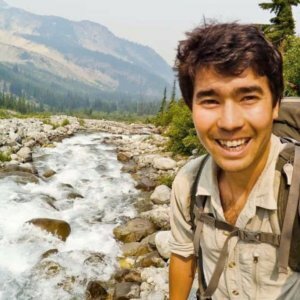 Perhaps you’ve heard the extraordinary story of John Chau, the young Christian missionary who tried to bring the Gospel to North Sentinel Island, one of the most remote and isolated communities in the world, and who, for his trouble, was killed before he even got past the beach. 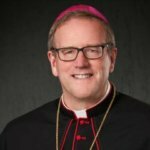 His endeavor has inspired a whole range of reactions – outrage, puzzlement, sympathy, deep admiration – and has stirred up in many people, both religious and secular, questions about the missionary nature of Christianity. To his critics, Chau was not only foolhardy but also culturally insensitive and imperialistic, trying to impose a doctrine and style of life on a people who had no interest in it. He called to mind, his detractors say, the worst of the Christian missionary era, during which the faith was introduced at the point of a bayonet and backed up by gunboats and armies of eager colonizers. Haven’t the religions finally eschewed this aggressiveness and allowed for tolerance and diversity? Even some Christians who shared his missionary zeal questioned the prudence of his methods. I had a passing acquaintance with John Chau’s adventure when I chanced upon a lengthy piece in the New York Times which provided extensive background. The mission to North Sentinal Island was not a lark, nor was it decided upon spur of the moment. Chau in fact had first learned of the inhabitants of the island in the Indian Ocean when he was in high school. A twenty-first century anomaly, the people of North Sentinal have had virtually no contact with the wider world, still live according to customs ten thousand years old, and exhibit extreme aggression toward any visitors who, by chance or design, have found their way to their shores. Fired by Christ’s call to bring the Gospel even to the ends of the world, Chau resolved to venture to this dangerous and primitive place. For a number of years, he carefully prepared himself through cultural and linguistic study, through exercise, through spiritual discipline. His fondest hope was to establish a Christian community on North Sentinal island and to translate the Bible into the language of the people. As the day of his landing approached, he was filled with trepidation – we know this from a journal he kept – but he pressed on. He arrived on shore wearing only a pair of black shorts, convinced that such simple garb would strike the native people as less threatening, but within a few minutes, he was killed in a hail of arrows. Later, some fishermen saw islanders dragging the missionary’s body with a rope. Again, I realize that even the most sympathetic of observers might well be tempted to see this simply as a waste of a life, a debacle born of naïveté and foolish zeal. And yet…Jesus did indeed instruct his disciples to bring the Gospel to every nation – it was in fact his final command. And the Christian church has honored missionaries up and down the centuries, from St. Paul and St. Patrick to St. Francis Xavier and Dr. Livingstone. It offers particular homage to those brave spirits who have brought the Christian faith to a region for the first time and who met, typically enough, enormous, even lethal, opposition. Think, to give just one example, of the great St. Isaac Jogues, seventeenth-century French Jesuit missionary to North America, who had his fingers chewed off by those he attempted to evangelize and who, in a subsequent mission, was put to death. When I first heard the story of John Chau, what came to my mind immediately was the great film “The Mission,” which is the fictionalized account of the Jesuit outreach to the Guarani tribes of South America. Who can forget the scenes depicting Father Gabriel, played by Jeremy Irons, making his way up the steep cliff face behind a waterfall in order to reach the plateau where the Guarani lived? Once he got past that obstacle, the missionary was faced with a group of tribespeople, initially curious, then hostile, and finally charmed by his playing of a flute. Part of what makes that scene so memorable is the clear sense that things could easily have gone the other way and Father Gabriel been put to death in a manner reminiscent of John Chau. My point is that Christianity is a missionary religion and that Christians, across the centuries, have been willing to risk everything in order to bring the Gospel of Christ to those who do not know it. Has this outreach been frequently compromised by its association with imperialism and cultural aggression? Absolutely. But that says nothing against the courage and zeal of those who did the preaching. But even if we grant that there is a warrant for John Chau’s mission, wouldn’t we have to admit that it was a tragic failure, a miscalculation? I don’t think so. Mother Teresa famously commented that the Lord does not ask us to be successful, but rather to be faithful. Was young Mr. Chau faithful? It is hard to deny it. Might his success be measured not so much in converts made but in witness offered? And was he an avatar of Western intolerance? I don’t know: a kid wading ashore, unarmed, wearing only a pair of shorts, and carrying only a Bible? Say what you want about his prudence. I will speak of him with honor.